You may remember that we were inaccurately reported as having a one-star food standards rating in the Bristol Post recently when, in actual fact, we have a four-star rating. 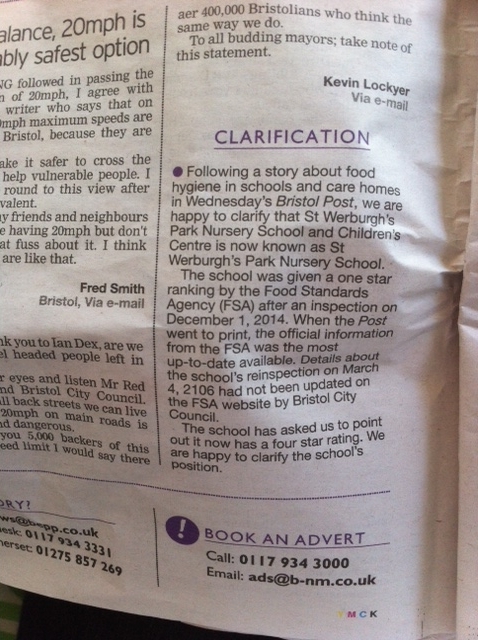 The Bristol Post has since posted a clarification. We appreciate the clarification. We reached out to the reporter, Michael Yong, and invited him for a complimentary lunch and a tour of our kitchens so he could write a positive piece about our high standards, but we never heard back. Never the less, we appreciate the update from the Bristol Post. You can read more about our food standards here.